Lately I'm a little obsessed with jojoba oil and I'm using it for everything from my hair to my feet. Naturally antibacterial, antiviral, anti-fungal, analgesic, anti-inflammatory and hypoallergenic, this simple oil is like a super hero product and it mimic's the skin's natural oils. Jojoba oil also contains vitamins A, D & E as well as Omega 6 & 9 essential fatty acids, not to mention that it's a powerful antioxidant. In short, this natural oil can be used for just about anything and I'm currently in love with the jojoba oil from The Jojoba Company. 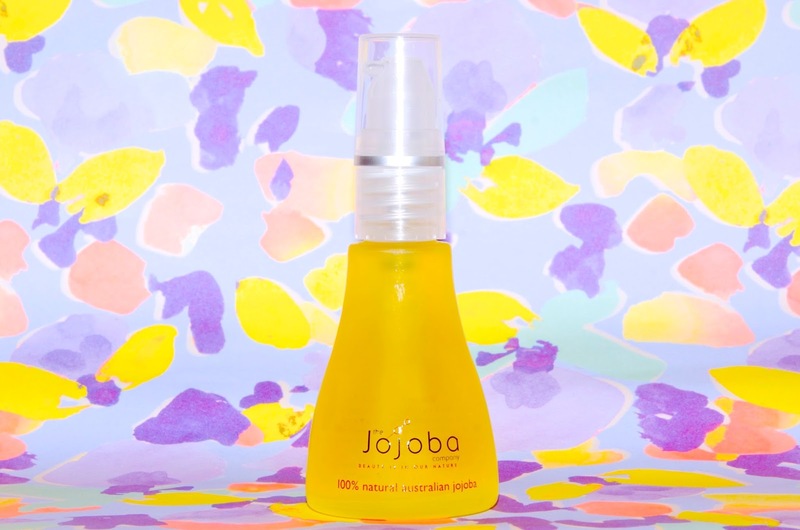 In a sleek and small glass bottle with a pump, the packaging for The Jojoba Company 100% Natural Australian Jojoba Oil is just perfect and convenient. The product is odorless, won't interfere with any fragrance you wear and while it is an oil, it's not terribly greasy, but more of a dry oil that is easily absorbed into the skin. I love using this jojoba oil pretty much anywhere I need a boost of moisturizing, including my face and I sometimes rub a bit between my palms and apply it to frizzy bits of my hair or on the parting to tame fly-aways. Jojoba oil can be mixed with essential oils if you prefer something scented or a bit of aroma therapy, but it can also be mixed in with foundation for a more flawless make-up finish. The Jojoba Company 100% Natural Jojoba Oil is £12.99 for 30ml or £19.99 for 85ml and it's available at Holland & Barrett.